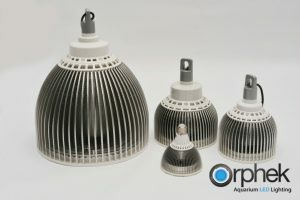 Orphek announces the Atlantik Pendant 300. 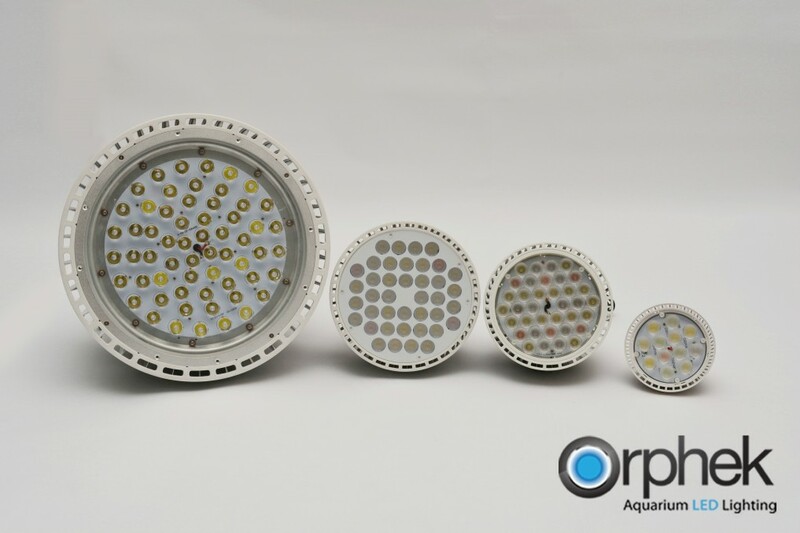 The Orphek Atlantik line of products is getting a new addition today. The Atlantik Pendant 300 is the newest addition to the Orphek family of lights. 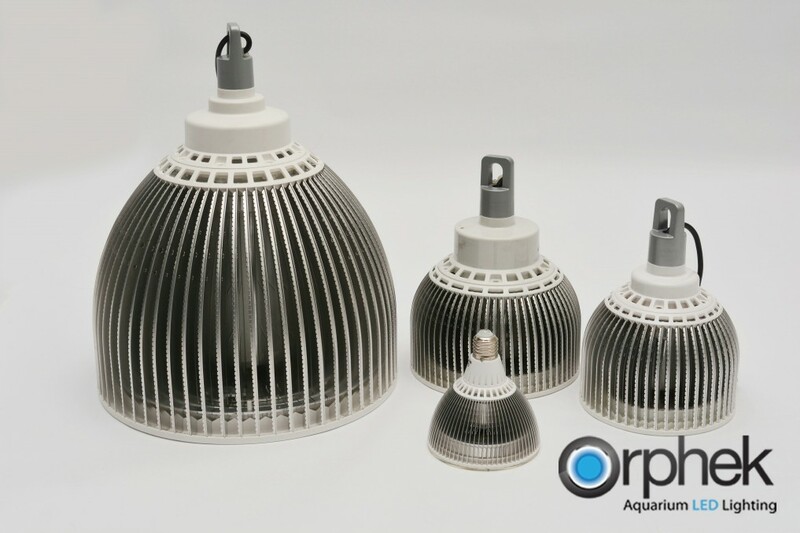 With an impressive set of stats the ATP300 is targeted specifically to replace 1000 watt metal halides in commercial installations and larger home systems. 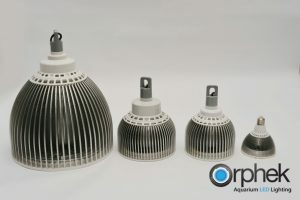 The new pendant comes with a wide range of choices to allow for specific installs. 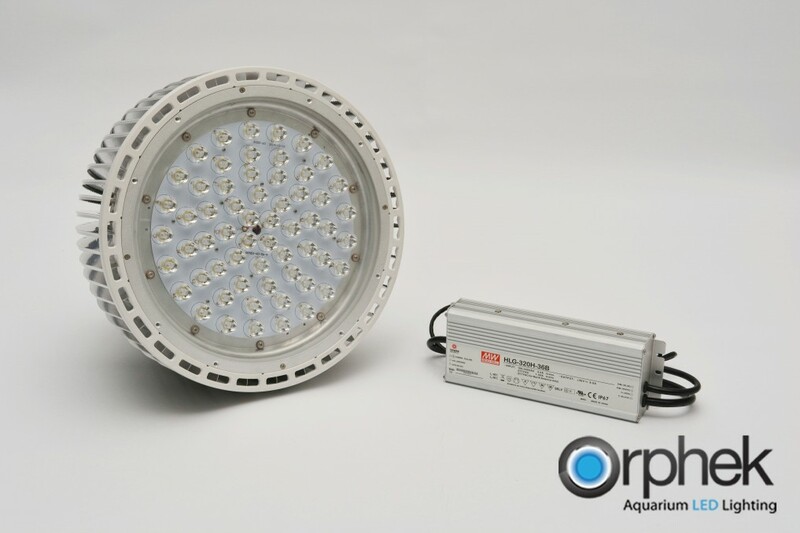 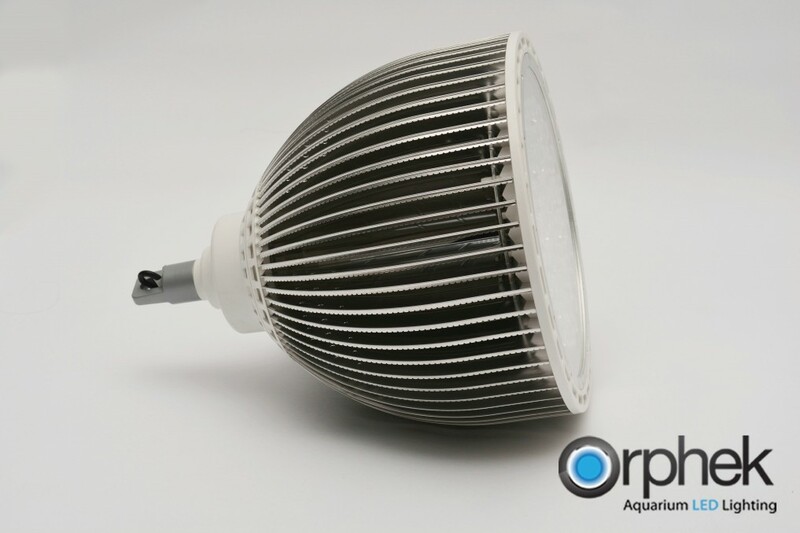 This 240-250 watt light delivers the spectrum that corals need to thrive in systems over 2 meters in height. 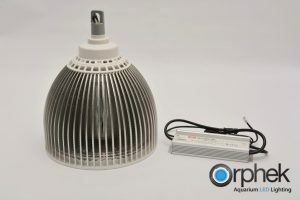 With PAR readings that can sustain invertebrates at depth this unit is capable of replacing costly metal halide lighting systems along with their bulb replacement costs and electrical usage. The unit can be adapted to many installations from shallow water systems to deep tanks in excess of 4 meters. 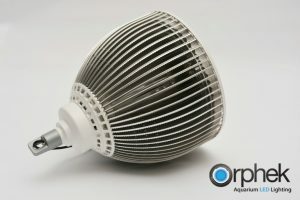 Orphek is debuting this light on February 21st and 22nd at Reefstock in Denver. Dimmable – APEX Ready, Wifi. 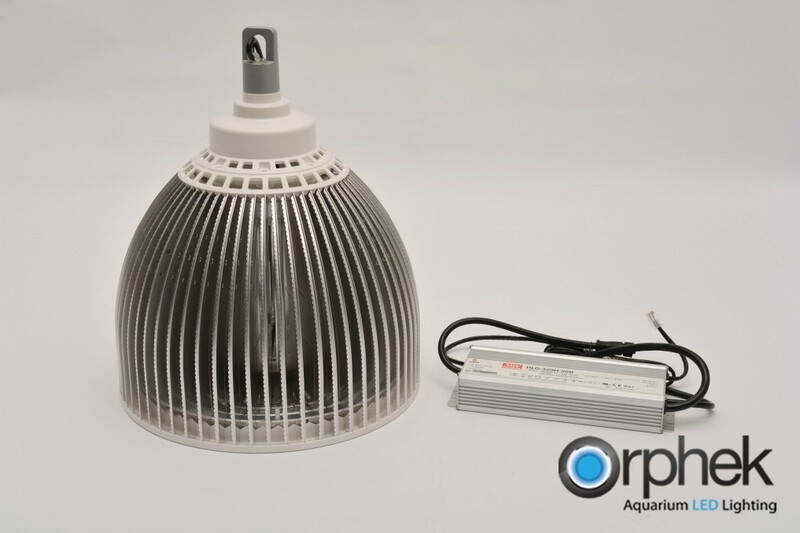 Available in a Super Actinic Blue model. 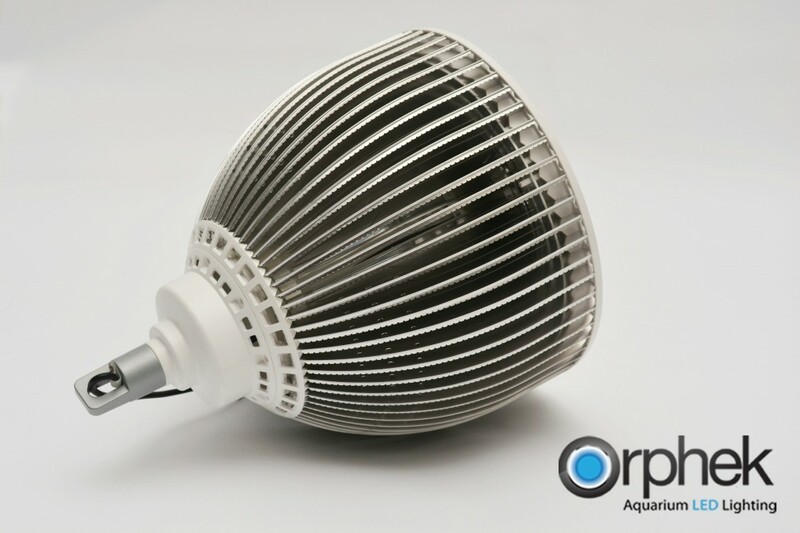 Superior Heat control via the integrated fins. 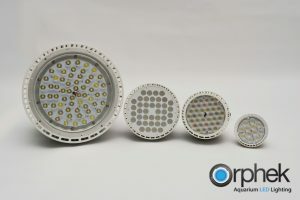 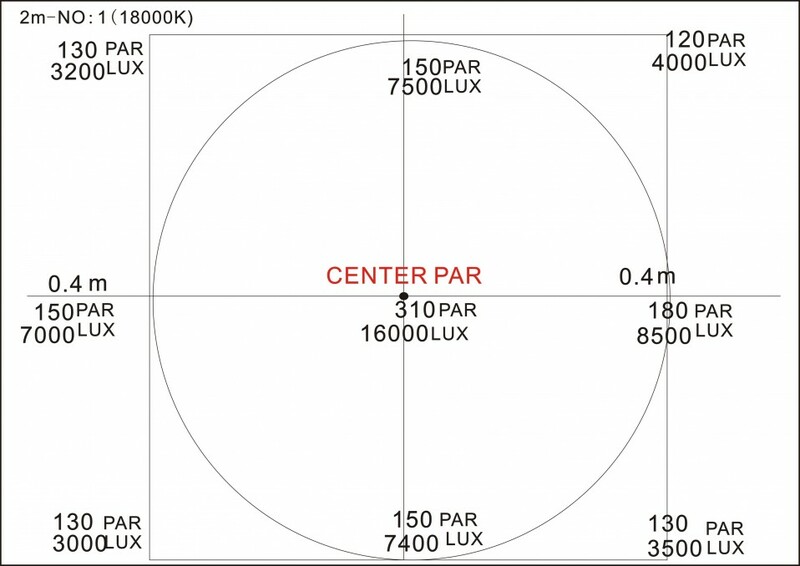 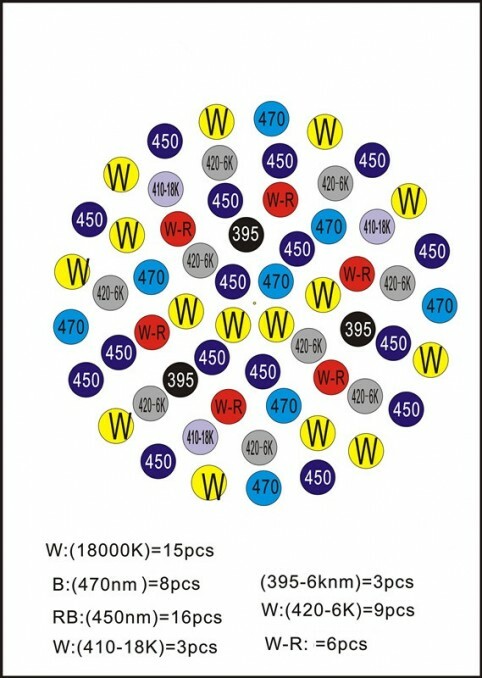 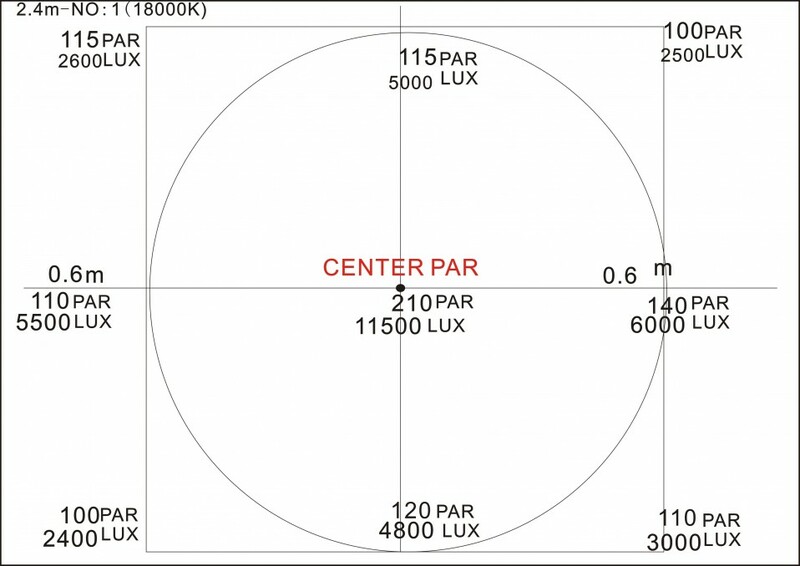 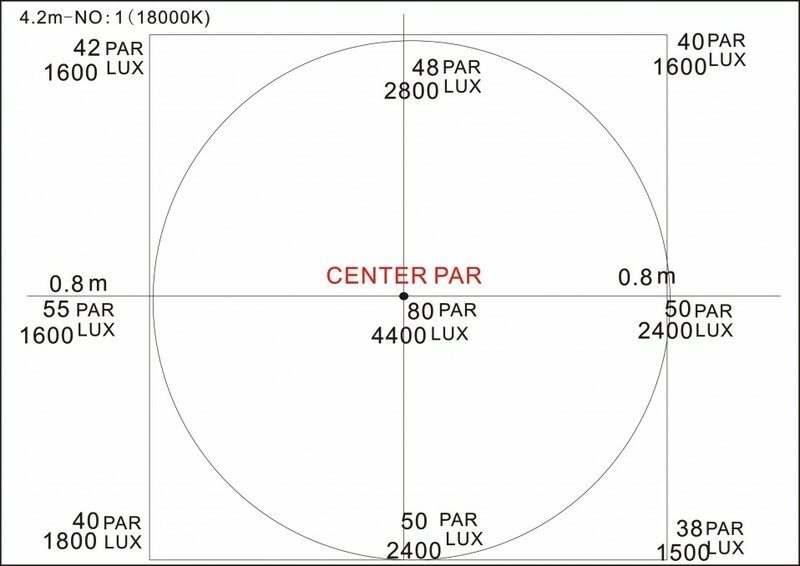 All LEDs are Dual Core.